For when ‘gram-worthy becomes wall-worthy. 1. Use twine to create this modern geometric display. Find out how to recreate the look here. 2. Transform a PVC pipe into a memento vase. Get the full how-to here. 3. Bring your photos to the party by making DIY coasters. Make this whole set for less than $1! 4. Make your party photos pop by creating a balloon chandelier. 5. Use washi tape to add a fun and easy faux-frame. 6. 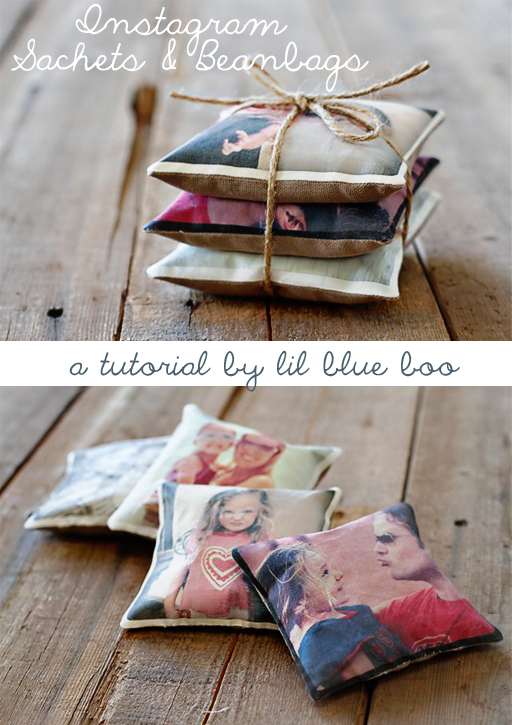 Use wax paper to transfer your favorite photos onto wood. 7. Turn clips and some string into an IRL Instagram page. 8. 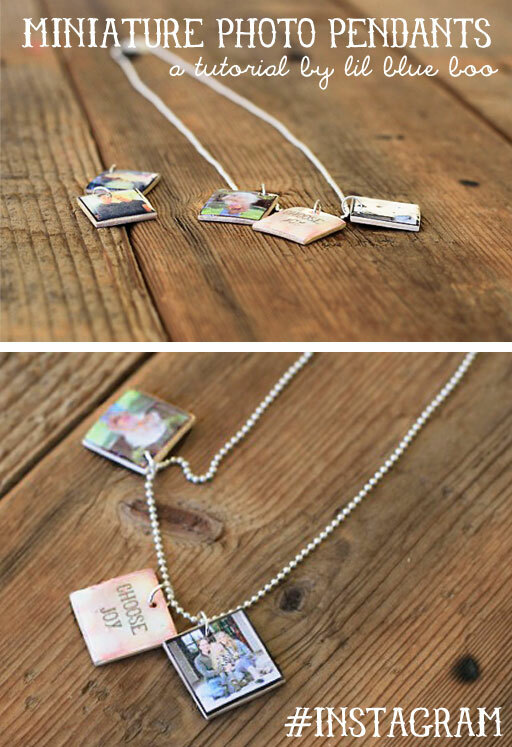 Turn your favorite â€˜grams into resin-coated charms. 9. Add a little rustic charm by dangling polaroids from a fallen branch. Learn how to recreate the look here. 10. Maximize your display space by using framed room dividers. Get the full tutorial on how to create this awesome chicken wire screen here. 11. Display travel photos pinned to locations on a map. 12. Or cut out your photos in the shapes of states themselves. Be sure to make duplicates before cutting into original photos. Check out all the steps here. 13. Make 3D photo shapes. 14. Plus, you can pile the shapes in a pretty jar or vase for an easy centerpiece. 15. Turn your Instagrams into lavender or cedar sachets. Transfer paper + fabric + delish smells. Get the how-to here. 16. Get the party started with this photo bunting. Get the super-easy tutorial here. 17. Use a clipboard for easy photo switch-outs. 18. Or DIY a sturdier version. 19. Decorate your fridge with mini polaroid magnets. Learn how to recreate this here. 20. Illuminate your favorite snapshots by pinning them to fairy lights. Buy pre-lit clothespin strands, or DIY your own! 21. Or DIY your own unique photo lantern to brighten a room. 22. Display photos in a vintage window frame. Don’t have one? Find one on Etsy. 23. Transform flea market finds into antique photo treasures. 24. Turn embroidery hoops into a unique photo chandelier. 25. Make an antique bicycle wheel your new pin board. Buy one on Etsy or DIY your own. 26. Use old-timey bottles for a ~found object~ kind of feel. 27. Or turn a mason jar into a vase with a little paint!